Finally, the 15th season of DANCING WITH THE STARS ALL-STARS is reaching an uneventful climax. We have three couples remaining – underdogs Kelly Monaco and Valentin Chmerkovskiy, leader of the pack Melissa Rycroft and Tony Dovolani, and front runners Shawn Johnson and Derek Hough. One of these three will walk away with the title of Dancing with the Stars All-Stars winner and 15 seconds of adoration from fans of the show. This is also the final time Celeb Dirty Laundry is bringing you a full scoring review of the performances below. Who do you think will win? Who do you think will be the ultimate dancing survivor? Will it be the controversial Kelly and Val? Will it be the previously injured Melissa and her dance partner Tony? Or, will it be the most loved couple of them all, Shawn and Derek? Cast your vote in our poll below, and let us know America! Kelly Monaco and Valentin Chmerkovskiy danced the Paso Doble & the Freestyle – These underdogs received excellent comments from the judges, and hot final scores. During their first dance, the Paso Doble, Len said, “Well done,” Bruno called Kelly “a thing of beauty,” and Carrie Ann noticed “a little slip-up,” but nonetheless remarked that it was their “best dance.” Len and Bruno awarded the couple 10 points, while Carrie Ann awarded them a very close-to-perfect 9.5 points. Their total score for the first dance was 29.5 – 2.9 points above their 26.6 average score of the season. During the Freestyle, Bruno “loved the blend of cirque de soleil and dancing.” Len thought the dance was “truly wonderful,” and Carrie Ann said, “The truth is we have been all watching you as a couple grow and it has played into your dancing and you told us a happy ending into a beautiful love story.” Kelly and Val received a perfect ten from Carrie Ann and Bruno, while Len awarded them a near-perfect 9.5. Melissa Rycroft and Tony Dovolani danced the Samba & the Freestyle – These front runners scored perfect points for both of their dances. During their first dance, the Samba, Len called it “fabulous,” Bruno remarked that Melissa “really have blossomed,” and Carrie Ann said, “Your abs are ridiculous, tonight your solo was fabulous.” They received a perfect ten from all of the judges. Their total score for the first dance was 30 – 2.0 points above their 28.0 average score of the season. During the Freestyle, Len thought it “was truly wonderful,” Bruno called “fantastic,” and Carrie Ann said, “Jackpot!” All three judges awarded them a perfect ten point score. Shawn Johnson and Derek Hough danced the Quickstep & the Freestyle – This high scoring couple received some of the less than stellar critique and scores of the night. During their first dance, the Quickstep, Len critiqued their breaking of lifts and body contact, Bruno said they had been “pushing the boundaries” all season, and Carrie Ann was sad that they “didn’t follow the rules.” Bruno awarded them 9.5 points, Len awarded them 8.5 points, and Carrie Ann awarded them 9 points. Their total score for the first dance was 27 – 0.8 points above their 27.8 average score of the season. During the Freestyle, Len awarded them “a gold medal!” Bruno called it “fierce, flawless, explosive, brilliant,” and Carrie Ann thought it was “incredible” and “sensational.” All three judges awarded them a perfect ten point score. Remember to bookmark Celeb Dirty Laundry for the live recap tonight, and let us know below who you think will be the winner of the 15th season of the campiest, most ridiculous dancing show on the planet. Goodnight and good luck, America. 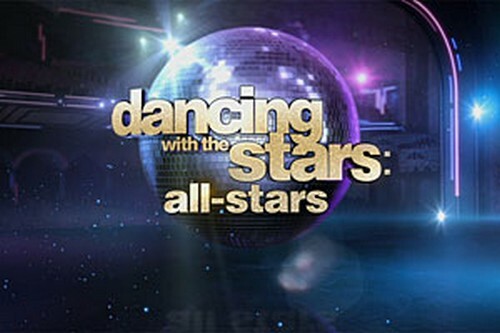 Who Do You Think Will Win DWTS All-Stars?